Over 15 years of professional experience in animal care. I am a true believer in the power of positive reinforcement training, and working to the highest standards in a positive atmosphere, where the animals come first. Throughout the years working in animal industry, I have met some truly amazing and inspiring creatures (including some wonderful humans). 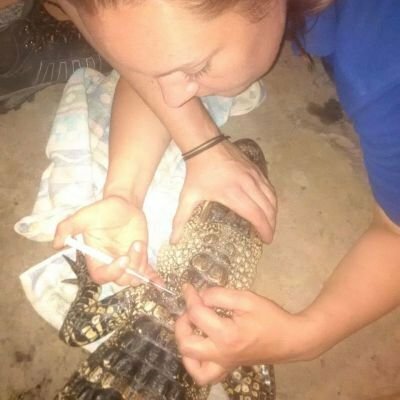 That led me to where I am today: after finishing my maternity leave in November 2018, I decided to make a brave jump, and start my own animal care business; a happy place, where communication is the key, and animals are the priority. With the passion I have and the knowledge I have gained throughout the years, I am hoping to provide exceptional service to my clients, both human and non-human; and help them understand each other better, for a happier, better life. Group and solo walks for your doggy friends. Pick up and drop off do not eat into the walking time - if you pay for an hour, your dog will exercise for an hour! Perfect option for kitties and other small animals: amphibians, reptiles, birds or small mammals. We take care of your pet at your home while you`re away. Puppies, kitties, newly adopted family members, or just a quick let-out service - we`ve got it covered! For those times when your pet needs to get to their appointment on time. For any help you may need with your pet`s behaviour. 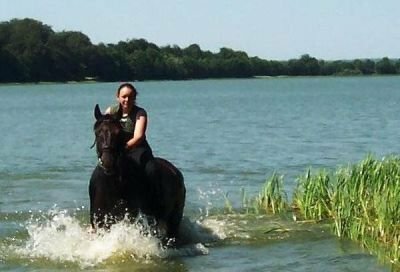 PgD Animal Psychology, MSc Zoo Conservation Biology, BSc Animal Husbandry: Horse breeding and riding, Diploma in Management of Zoo and Aquarium Animals, Certified Horse Riding Instructor. Can't recommend Asia enough. Very friendly, Dogs love her, communication is fab and she never lets me down. Couldn't hope for more 😁😁"
Asia is an extremely trustworthy and caring animal professional, I cannot recommend her services enough!" There is no one I’d trust more to provide the utmost level of professional, quality care for my animals." Asia looked after my cat Sammie whilst we were away at Christmas. Sammie is a very shy cat and scares easily but he seemed to love Asia. She would keep us updated with how Sammie was and would sent photos too. Really great service & I would highly recommend Asia for your pets! Thank you Asia 🐱🐾"
Would highly recommend Asia, she's so good at what she does. Very professional and friendly. 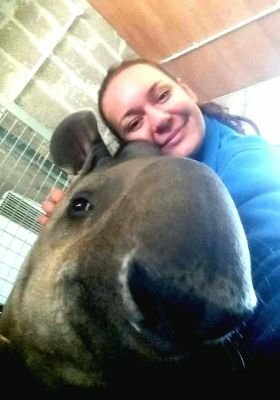 Don't go anywhere else if you need an animal professional"
So much experience and knowledge - Asia knows exactly the best way to look after a huge variety of animals and will always put their needs first! A very kind and compassionate professional." Asia is an expert when it comes to animal husbandry and training with animal welfare being her top priority. She is skilled, experienced and most importantly passionate about her work and I would 100% recommend her animal care services." Great training methods, very patient. Friendly, reliable and efficient. Would definitely recommend! Pooch & friends is 5 stars"
Professional approach to animals. Excellent contact with my dog. Great experience and knowledge in terms of behavior and training. I would not hesitate in highly recommending Asia." Animal care management skills. Very experienced in animal welfare. An attitude that the animal always comes first. Reliable and accommodating." Joanna was perfect. Chase was really happy staying with Joanna. He was really well looked after. Joanna took him on a long walk which he obviously loved. He was well fed and very relaxed. She also sent me lots of photos during the day so that I knew how he was getting on. Joanna was very approachable and friendly and we met up several times before Chase actually stayed with her. I would not hesitate to recommend Joanna. She was absolutely great and I will certainly use Joanna again." After having sleepless nights about leaving my " fur baby" ragdoll cat Asia I think I've found a cat sitter "angel" in Joanna. What a star. Joanna came to meet Asia and myself before I went on holiday. I knew immediately she was a kind, gentle lovely lady who just loves animals. When on holiday Joanna sent me lots of photos of Asia settling in at Joanna's home. This was so reassuring. She encouraged me to take lots of asias toys,scratchpost,blanket and bed to make Asia feel at home which she definitely did. As Asia sleeps with me, Joanna allowed Asia to sleep with her too. So much so that Asia wouldn't come from under the bed when I went to pick her up.. Joanna is such as asset to your company. I hope to have Joanna look after Asia on my next holiday. A massive thank you to Joanna for looking after Asia with the best of love and care ever. X"